If you like commands, the Marketplace is the place to be! 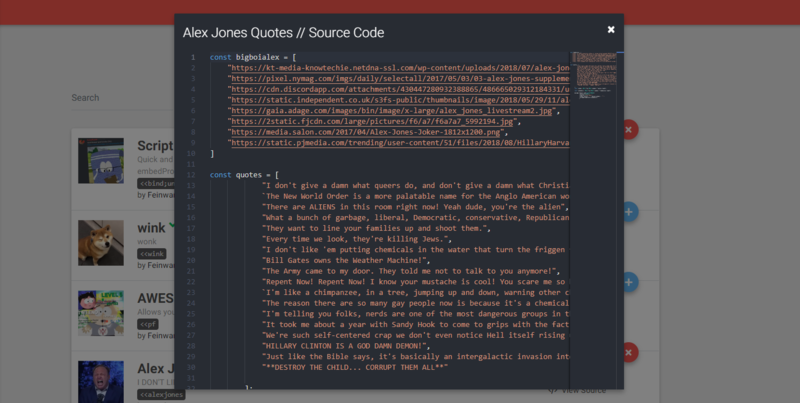 In here, you can look at every single command that has ever been created! 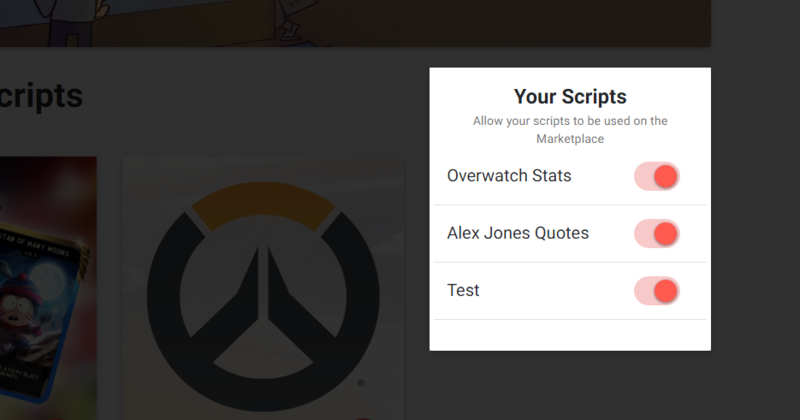 If you have created a script, you can then enable it to appear on the marketplace by clicking the slider in the Your Scripts section! If you really like a command, you can click the to give it a like! Show the creator how much you like their command! 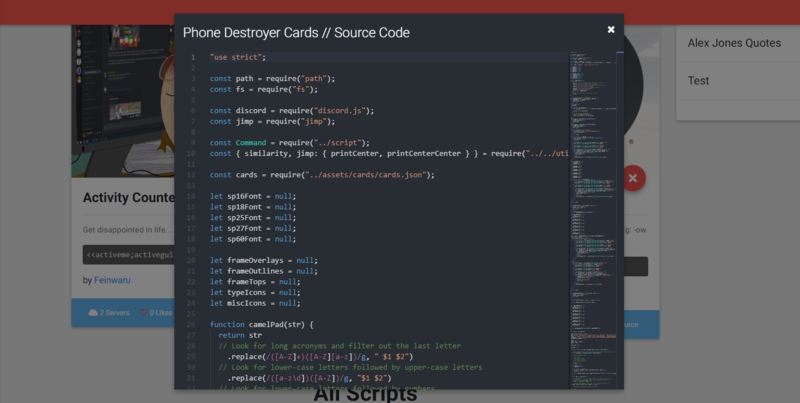 Finally, if you want to view the original code created for a script, click the little icon underneath or beside the . 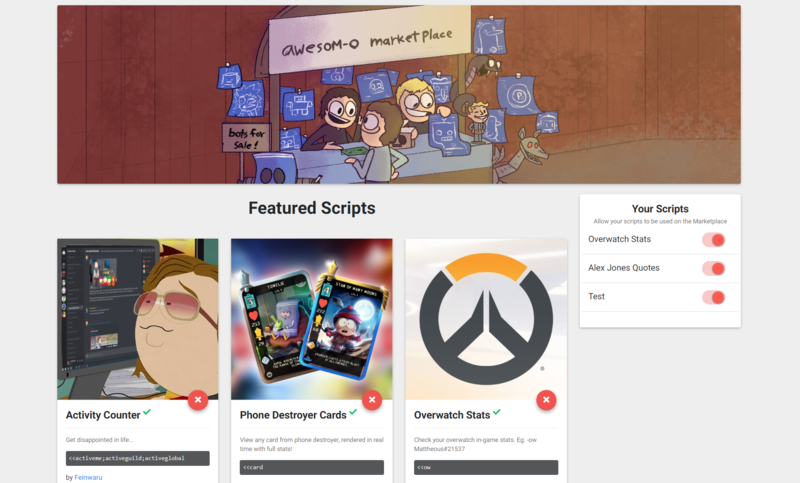 If you are looking for examples on how to make commands, We suggest you look at community scripts as most of the things in the scripts by Feinwaru are not used when making scripts/ not accessible.